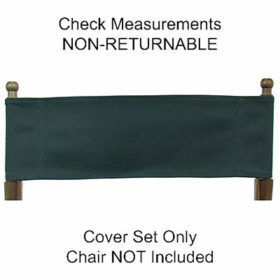 Directors Chairs have been around for over 100 years… so chances are that there a lot of director chair frames out there that only need a replacement seat and back to bring them back to life. 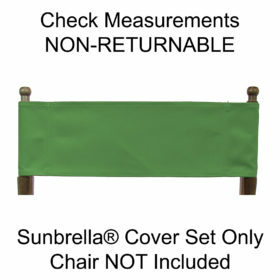 Here we offer personalized director chair replacement covers using embroidery for customization. 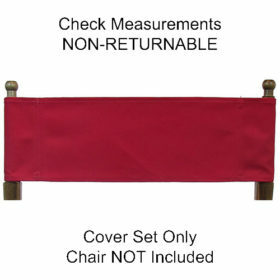 Since directors chairs have been made in many different sizes over the years, PLEASE BE SURE TO CHECK THE MEASUREMENTS YOU NEED before ordering.